Welcome to my little, colorful, happy place full of SOFTIES WITH CHARACTER AND SUPERPOWERS. 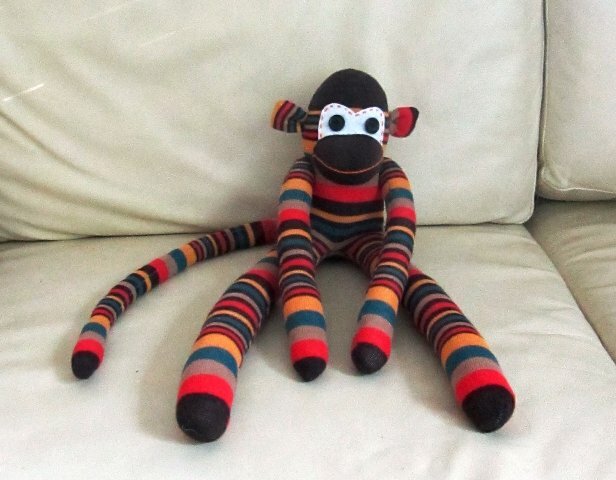 Why I sew my own toys? 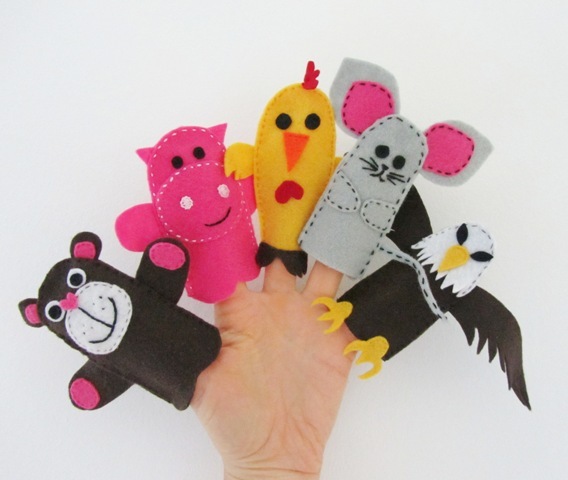 Because HANDMADE TOYS are created from passion. 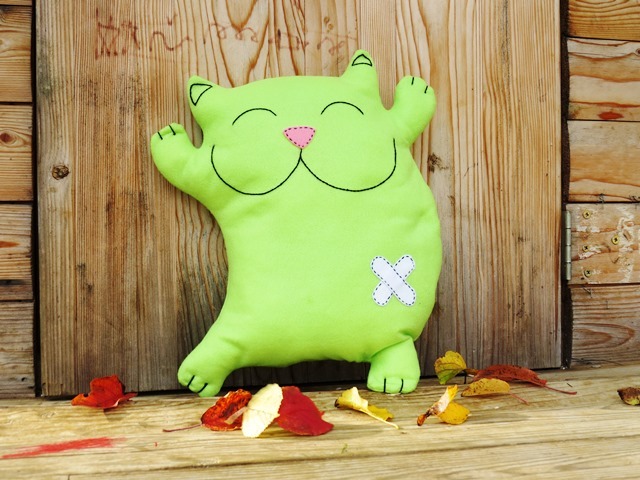 They are sewn with attention to the detail, filled with love and positive energy. 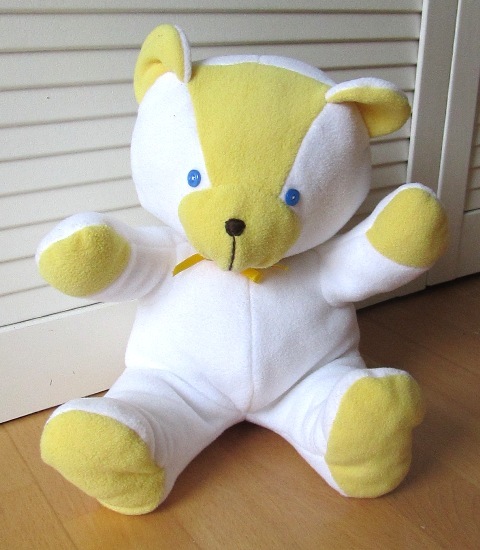 If you are looking for idea or help to sew your own special toy for your baby, child or friend, you came to the right place. AND YES, EVERYTHING HERE IS TOTALLY FREE FOR YOU TO USE! 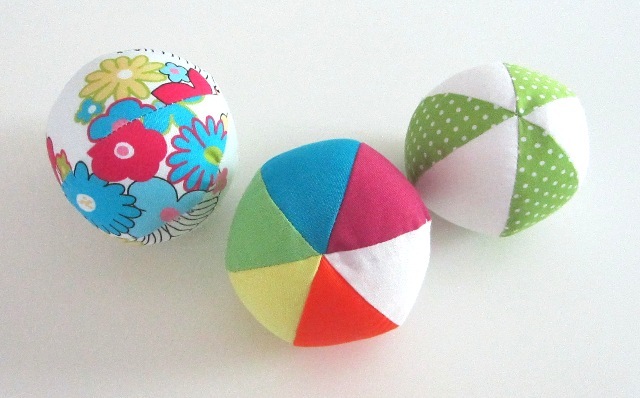 Browse through unique FREE SEWING TUTORIALS & PATTERNS or TIPS & TRICKS created to help you create your perfect little masterpiece. Join me, let’s create easy, safe, loved, unique softies together. Baby cloud pillow, white as snow and extra soft and cuddly with hand embroidered eyes, mouth, and cheeks. 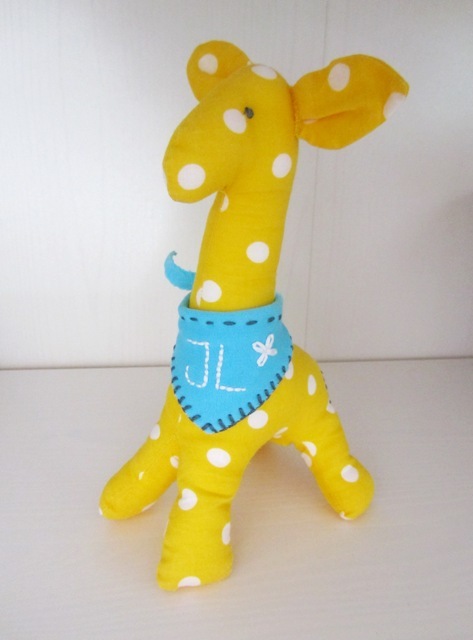 They are a cute décor for any baby nursery. 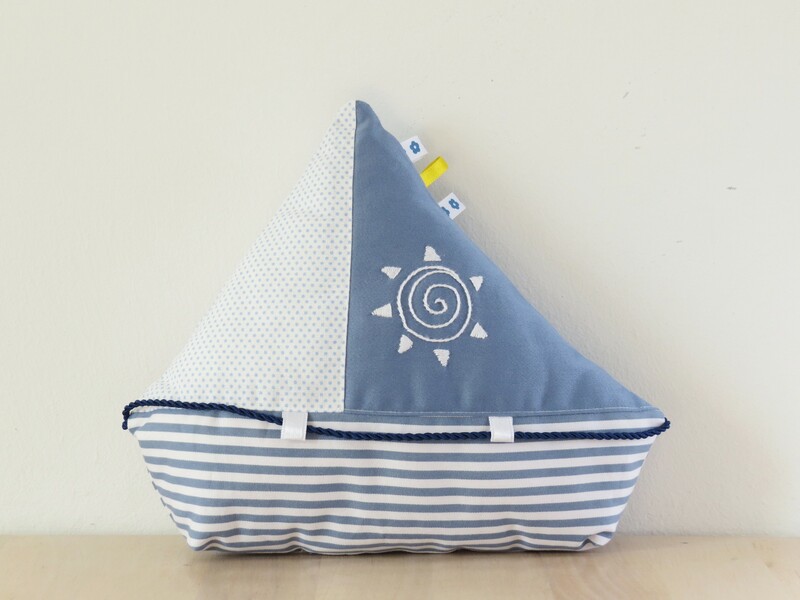 Baby cloud is a great idea for baby shower gift or as a baby gift for a newborn, for a baby boy or baby girl. Who wouldn’t want to sleep among the white fluffy clouds? 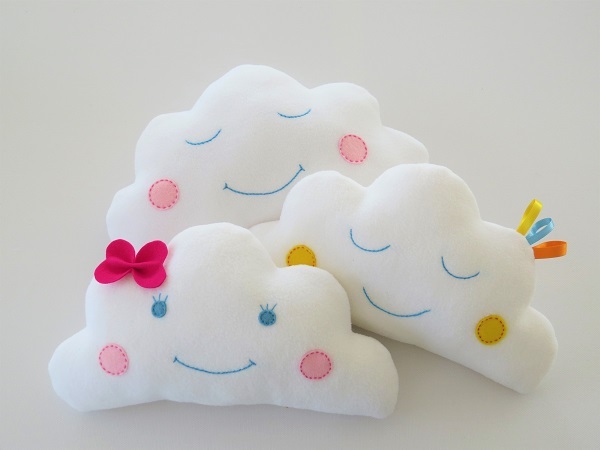 This pattern includes instructions for THREE patterns, for a sleepy cloud, girl cloud and rainbow cloud. 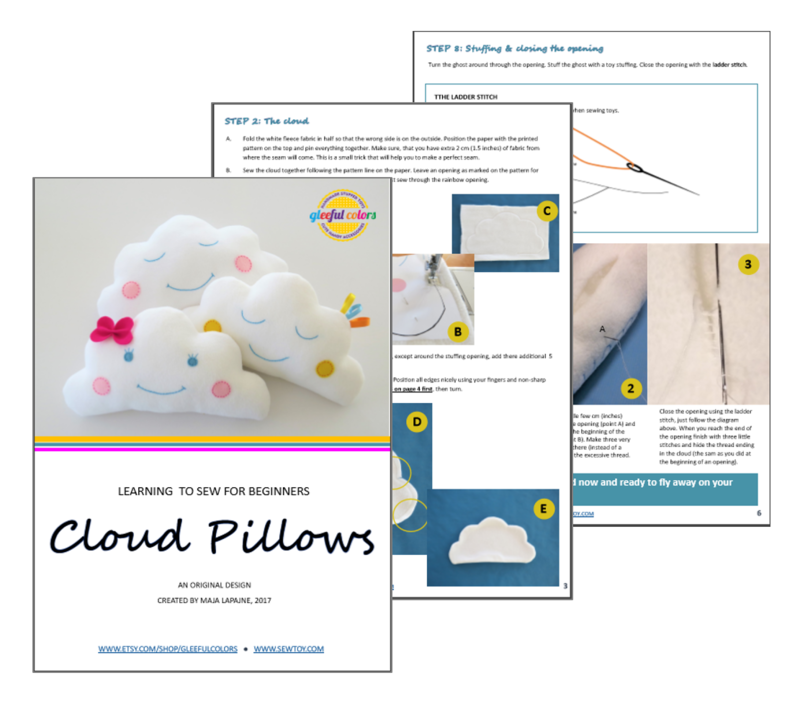 I have designed this baby cloud pillow sewing pattern to be as EASY to make as possible. 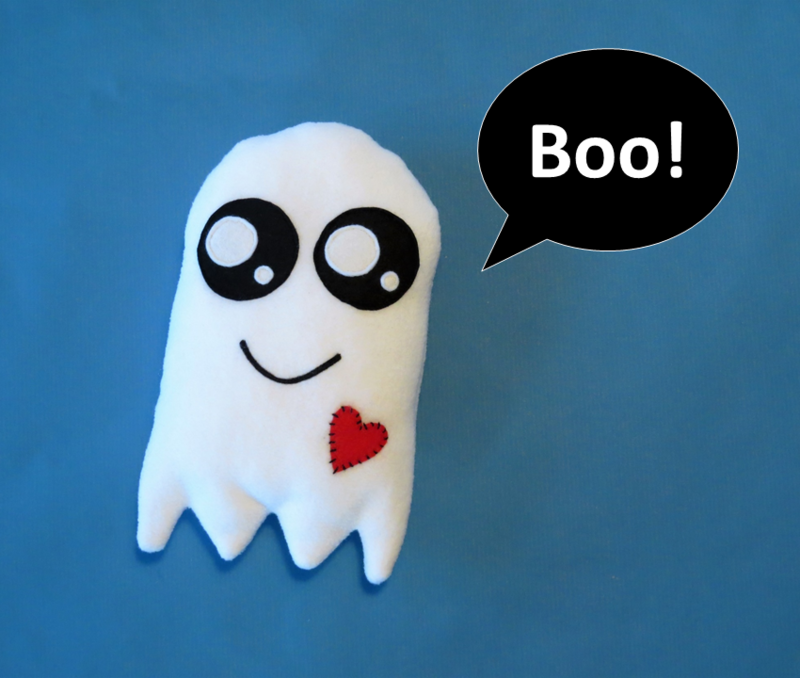 Don’t worry, even if you are a beginner with basic sewing skills. The pattern has step-by-step instructions and plenty of pictures which make it very easy to follow. 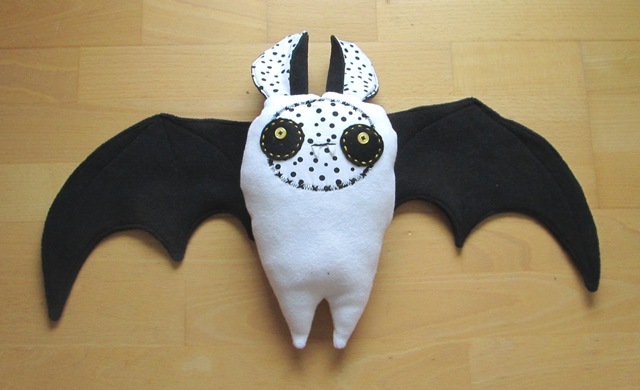 It includes sketches of the stitches used and a list of materials and tools required. 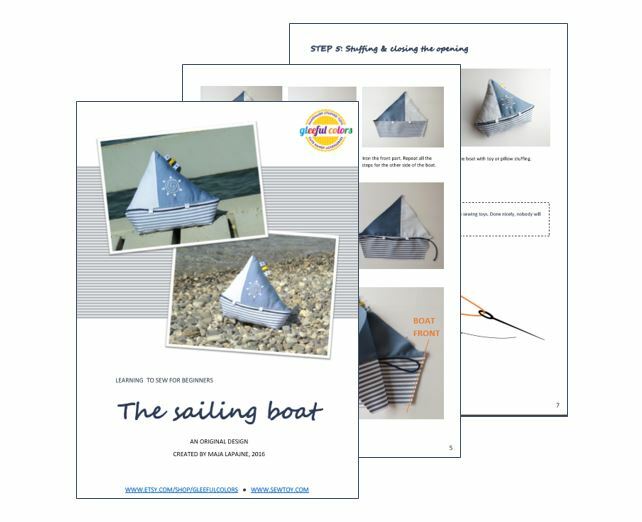 The pattern consists of 8 PDF files in A4 format, seven of them with the detailed instructions and one of them with the templates for three different clouds. The templates are ready for print, no need to resize or enlarge them. 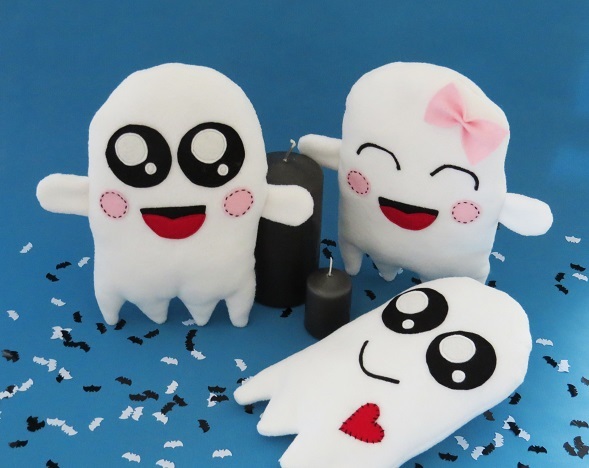 As you make your three clouds, you will LEARN the basics of how to make your own simple soft toys and you will pick up a few TIPS & TRICKS on the way and will be able to make your very own variations. 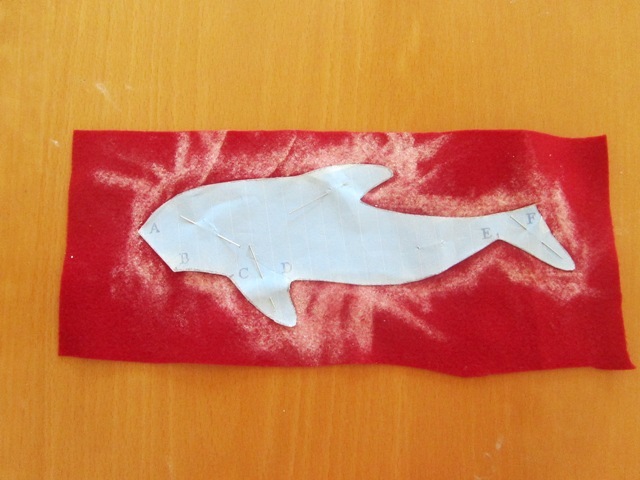 You will also need a sewing machine, a thread, pins, needles, scissors, a trick marker or a chalk. As my customer, you will get MY FULL LIVE SUPPORT if you get stuck for any reason, just convo me on Etsy and let’s find the solution together. 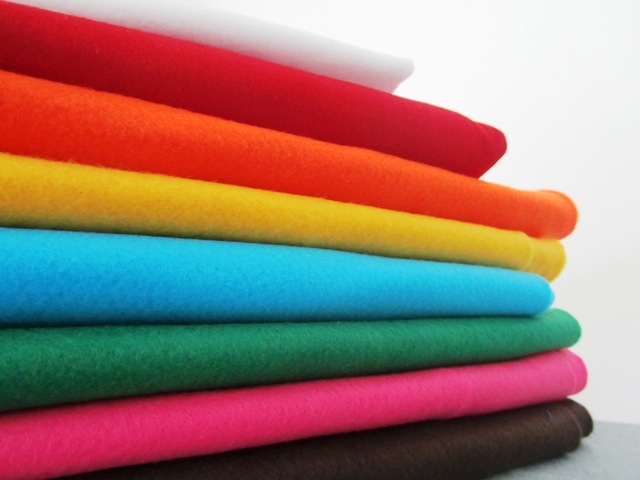 Why felt is my first choice for beginners learning to sew? How to sew PERFECT plushie feet! 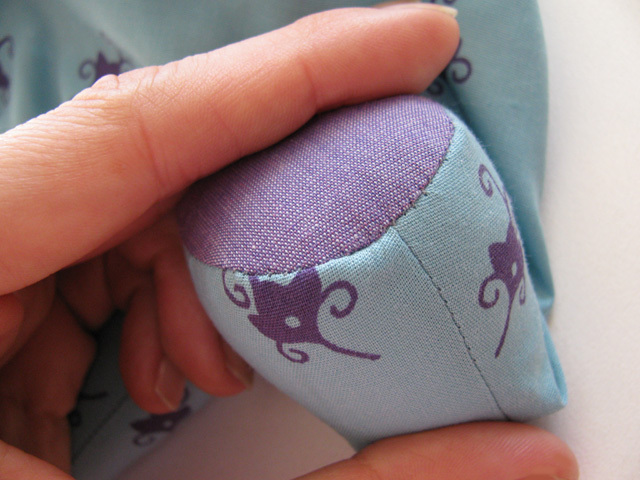 Ever wondered how to close the toy so that stitches would not be visable? Ladder stitch is the answer you were looking for.